AquaCare Tropical Fish Flakes 12g. 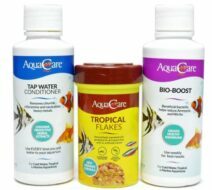 Reduce Fish Losses: AquaCare Biological Supplement’s new formula gets to work immediately to quickly reduce harmful ammonia and nitrite in your aquarium. This means you're far less likely to lose fish in a crisis. 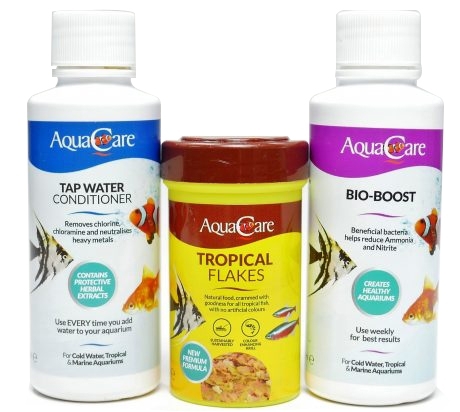 We recommend you use AquaCare Biological Supplement every week to help keep your aquarium in tip-top condition! AquaCare Biological Supplement has been developed using the latest advances in bio-technology and has achieved improved bacterial stability, higher activity levels and an ultra pure concentrated product for unparalleled consistent performance from every bottle. When adding tap water to an aquarium, it should always be treated with a water conditioner to neutralise harmful chlorine, chloramines, and dissolved metals. Chlorine is an effective oxidant commonly used in bleaching and disinfectants. Just imagine what it could do to the sensitive life sustaining gills and protective membranes of your fish. AquaCare Water Conditioner instantly neutralises chlorine, chloramines and dissolved harmful metals in tap water that can be toxic to fish and often impairs their natural resistance levels, leaving them more prone to disease. AquaCare fish foods include recipes using some innovative new ingredients for Tropical and Coldwater fish, plus a whole host of specialist foods including foods for Discus, Cichlid and L-numbers. The ingredients used throughout the range have been chosen to make the foods extremely palatable, to supply optimum health and to give fish bright, vibrant colours. 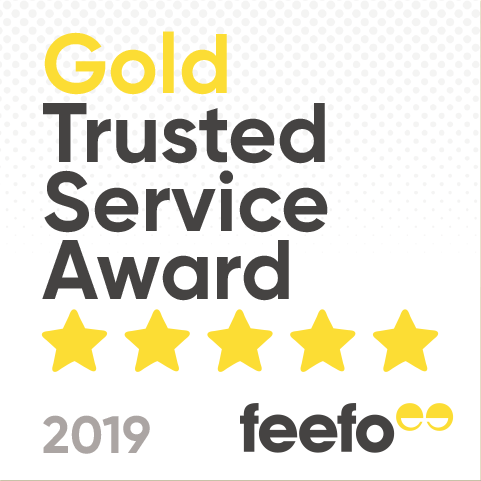 All recipes are rich in omega 3 & 6 fatty acids for general health and growth and, unlike most other fish foods, the complete mix of added vitamins are all stabilised to ensure they stay fresh and active for the maximum time possible. 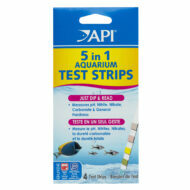 Your fish will look better than ever thanks to the natural colour enhancers used throughout the AquaCare range. These natural colour enhancers are used to target specific common shades to really bring out the natural colours of your fish.